The one arm lever drive control system is particularly suited to the hemiplegic user. 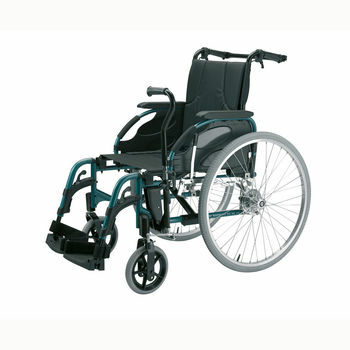 Available in left or right hand drive configuration it is also popular for clients with low muscular tone that are unable to propel a standard wheelchair. Using one arm through the lever pendular motion the user is able to propel it forward or backwards with steering and braking also integrated.